Welcome to ADN Final Touch LLC. 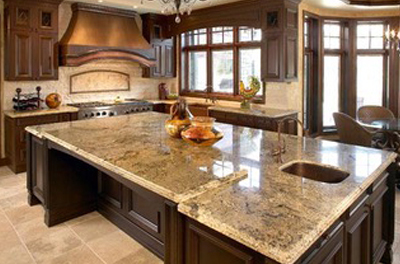 We are the premiere granite countertop company in Aurora, Colorado. 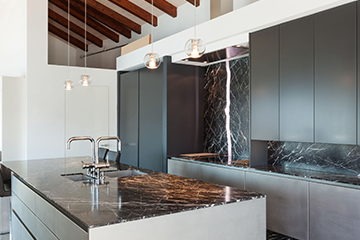 Our family owned business has years of expertise beautifying commercial and residential properties, with a specialized focus on renovating kitchen and bathroom countertops. We have a crew of talented artisans who are timely, reliable, and professional, but also very passionate about what they do. 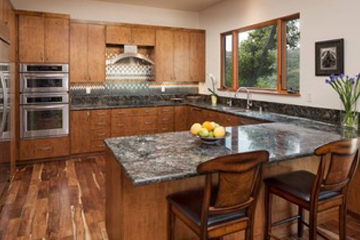 Granite is an all natural product made of minerals crystals that has been around for million of years. Every slab is very unique. It is full of character movement and beauty. It is extremely durable and reliable, perfect for any surface indoor or outdoor. Its also a good choice since its heat resistant. It is very easy to maintain. Stands out with a glossy and reflectic finish. 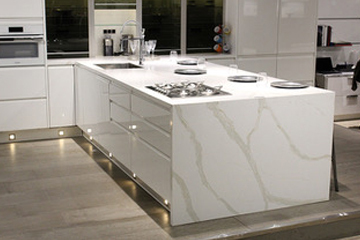 Marble is a natural stone that has been around for many years. It is known for its solid beauty. Has a very elegant desirable look. It has a softer appearance suitable for a classic fitting. It is consider to be fragile and may need more maintenance. Recommended for vanity bathrooms, fireplaces and showers. Quartz is a non natural material, it is man made. Its 95% quartz and 5% of resins, polymers and various types of pigments. Its a great choice if your looking for a more modern look. The patterns and colors in the slabs are more consistent. It is stain resistant and sealer is never needed. Easy to maintain.